As Hurricane Irene rattles closer to the East Coast, we hope that those of you in the path of the storm are preparing and keeping safe. You can’t stop a storm from coming, but you can be prepared by the time it hits. 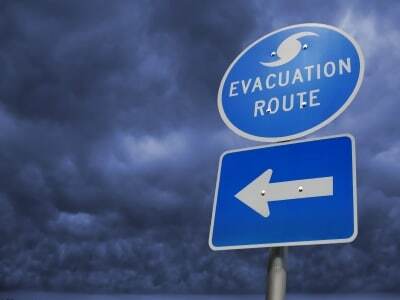 To get you ready, we are sharing with you important tips from the Federal Emergency Management Agency, University of Florida Cooperative Extension Service, American Red Cross, and the Tampa Bay Regional Planning Council. A heating source, such as a camp stove or canned heat stove, and extra fuel. Take action early — don’t wait until a hurricane warning is declared. The storm’s fringe activity will make preparations difficult. If your boat is stack-stored in dry storage and you have a trailer, consider securing the boat at home. If you have a trailer and are in an evacuation zone, consider taking the boat with you. If your boat will remain in berth, before hurricane season check the strength of primary cleats, winches and chocks. They should have substantial back plates and adequate stainless steel bolts. Purchase extra mooring lines and chafing gear in advance; they may not be available just before a hurricane. Protect lines from chafing by covering rub spots with leather or old garden hose. Double all lines, with rig crossing spring lines fore and aft. Attach lines high on piling to allow for tidal rise or surge. Seal all openings with duct tape to make the boat as watertight as possible. Charge batteries for automatic bilge pumps. Reduce dock or piling crash damage by securing old tires along the sides of the boat. Remove loose gear from the deck. Store it securely inside or at home. For a boat stored on a trailer, lash the boat and trailer down in a protected area. Let the air out of tires before tying the trailer down. Place blocks between the frame members and the axle inside each wheel. Secure with heavy lines to fixed objects from four different directions, if possible. If you prefer, remove the boat from the trailer and lash down each separately. Remove the outboard motor, battery and electronics, and store them. Small boats can be filled with water to give them added weight after lashing down. If you like your boat more than you like your car, put the boat in the garage and leave the car outside. If you don’t live in a mobile home and your house is structurally sound and in a non-evacuated zone, you should ride out the storm there. During the storm, it is safest to use a battery-powered radio or television to monitor developments. If you lose power, turn off major appliances such as the air conditioner and water heater to reduce damage.